Do you travel to Mumbai to get millionaire brownies? You won’t have to anymore! 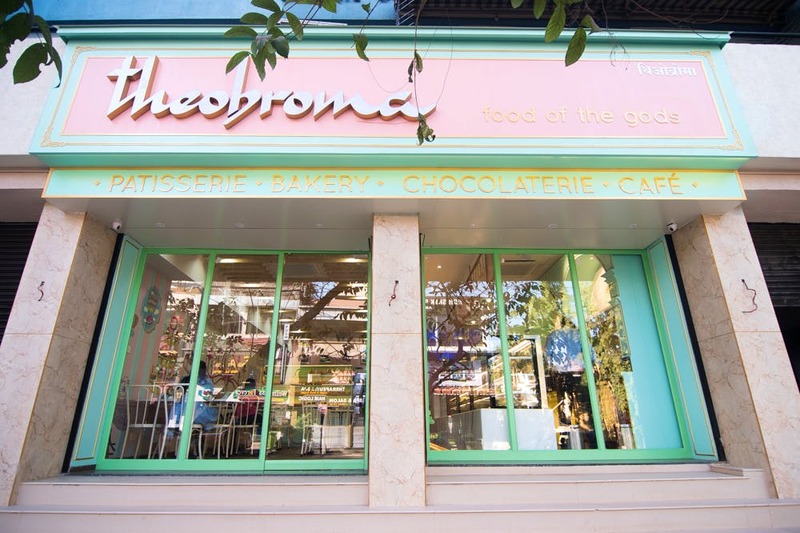 Mumbai’s iconic Theobroma has opened in Pune. It's a small sit-in space in Koregaon Park on North Main Road, next to the The Good Food Cafe. In its iconic brand colours of pale pink and mint green, the cafe is lined with a counter full of desserts and we’re obviously in line for some brownies. The big bonus you get out of this opening is that the cafe opens at 8am. So if you’re looking for some breakfast in Koregaon Park, you know where to drop in. The outlet is working as an express one, which means there’s no operational kitchen or hot table. But, you can still get their cold sandwiches and a few wraps and have them heated to eat. But the best thing to do here would be to pick up a croissant and a coffee. The croissant is one of the best we’ve eaten, to be honest. There are other viennoiserie available too. You can get almond croissants (known to be chef and owner Kainaz Messamn’s mum’s favourite), pain au chocolat, pain aux raisin, lemon danish, parsley and cream cheese danish and apple and blueberry danish. Get a hot cuppa poured too. Theobroma serves French-style coffees and their hot chocolate is decadent made with a ganache and warm milk. Tea drinkers can opt for mint tea or a classic masala chai. And, those who’re more conscious about what they consume, can sip on an oats lassi. And of course there are many desserts and cakes to choose from. Bite into their mawa cake, a nod to the brand’s Parsi heritage, and a range of cupcakes and macarons in various flavours. A meal for two will set you back INR 500, but we’d recommend trying out the cafe for a quick coffee and pastry breakfast. You’ve obviously got to try their brownies. Whether you’re fans of the classic, a walnut brownie, chocolate chip, the millionaire or others, get a slice.